I agree. But you can only measure if you have em in your hands. And that can get expensive...if you measure em all. As usual with a question such as this - the answers bring even more questions ! 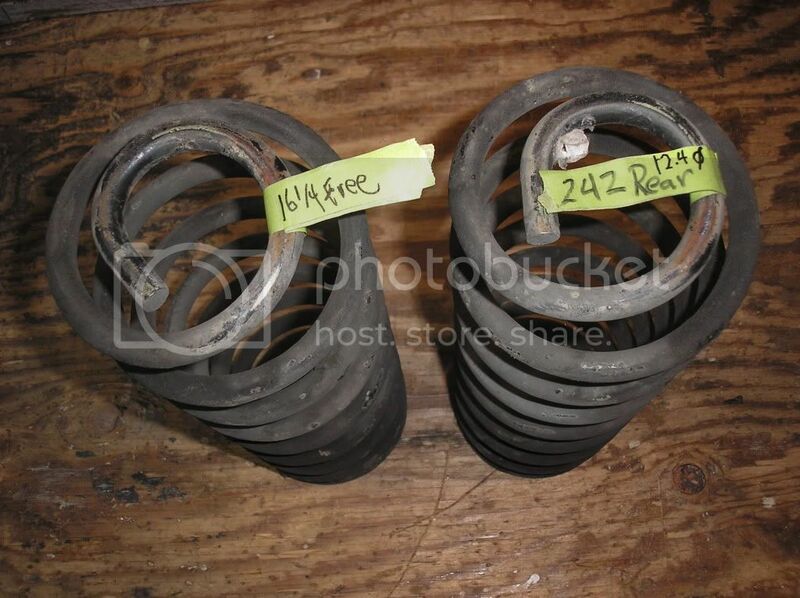 Here's my solution, I will get my hands on a couple of OEM springs and take them to our [ RAMSHOX ] spring makers for testing and evaluation. Not only will they do the math testing - but they have a rig that will test them in the real World. This may take a little time as funds are tight and it means I have to purchase springs for testing - but I will do it. Thank you, myself and others will greatly appreciate that. No problems ......... let's nail this one. Test them in the real world!??? If it hasn't been done until now, think of the repercussions! How will the servers handle the enormous instant drop off in traffic if the spring rates are actually known? Oh I fear the end of TB!! I don't get what the mystery is? I've put up corner weights, spring rates (measured) and motion ratios have been computed. Literally every detail of this suspension is known. Redwood Chair has posted enough detail to compute the rates. The 78-80 GT's all were a bit different. What exactly needs to be worked out? 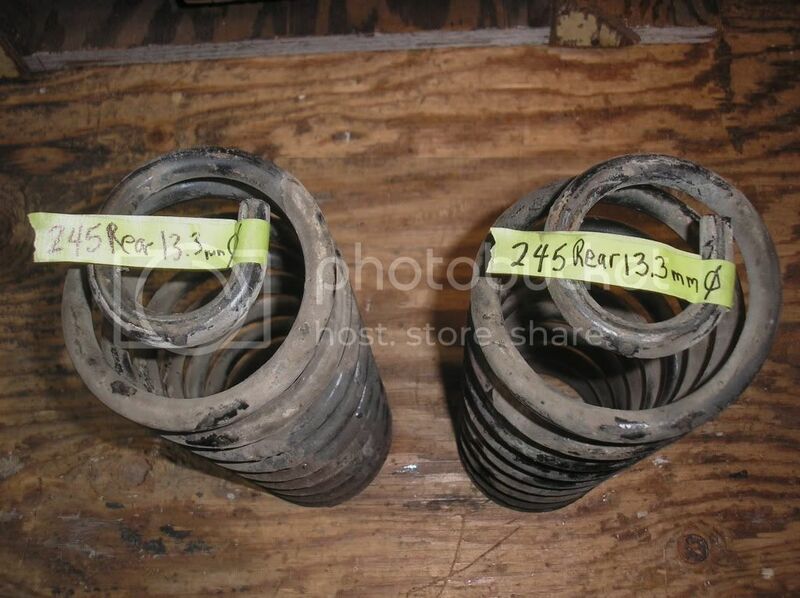 The stock springs are not particularly stiff and they don't really need to be depending on what you're doing or what you want to use your car for. Driving on roads and enjoying the ride...stock works. Horses for courses - what is the question? Do we think there is some magic going from 109 to 120 lbs/in when the front corner weights are around 800 lbs (assuming turbo)? I've also measured the common lowering springs (Lesjofors) and the fronts are 150 lbs/in. Here are the corner weights again (measured at the Canadian Autocross Nationals last year. 3/4 tank fuel. No driver, race trim). MY question is ............................"WHAT ARE THE STOCK RATES FOR A 940 TURBO ESTATE". The answer should be in two definitive numbers. That's all the info I require. Then I can go to my spring man and get suitable rated springs for the rear coilovers and at least know where to start [ my driving style etc. ] for my fronts. It would be a lot easier to just find a set or remove the ones you have and simply measure them than fishing around this forum for definitive answers. The tendency is to work out what fits and might be stiffer and is available for almost free at the local junk yard or cut them...that would be my summation of most of the threads I've seen for 240/740/940 suspensions. With a few exceptions of course - and those guys just went and changed things until they got what they were after and very few went back to the junk pile and measured the stock springs (making a wild assumption that I'm reasonably sure is absolutely correct). If you're looking for a specific ride/handling quality (ride frequency), then you need motion ratios, weights and a few other things then the spring rates are computed from these values. It won't be perfect, but it will get you in the ball park pretty fast. This is how I ended up with the data for the 240 stuff that I've posted. 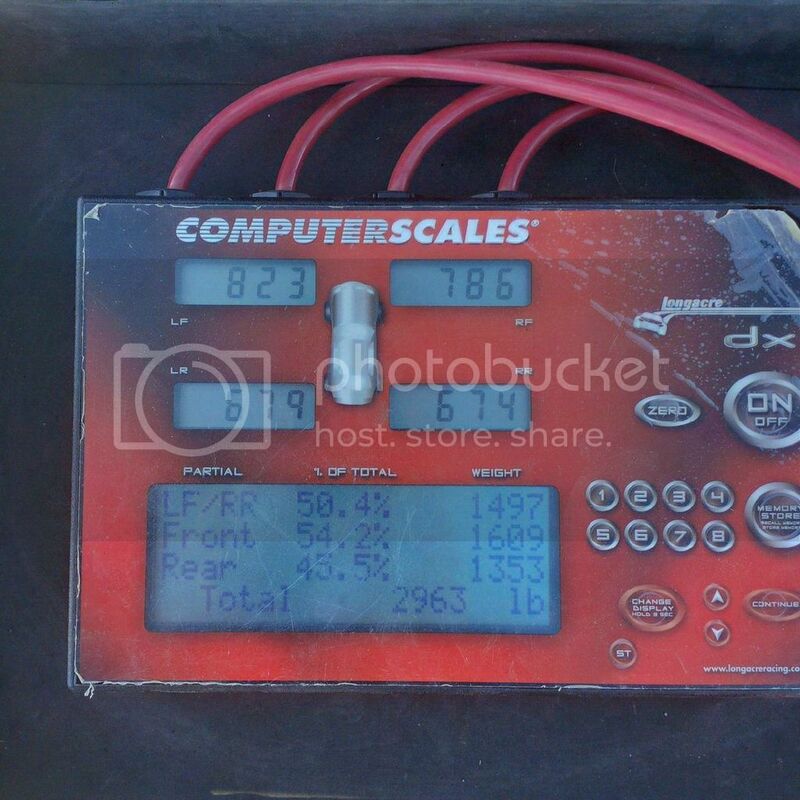 I was trying to sharpen up the handling of my 242 for autocross and was working data collected for my car, then did the calculations, then worked out the frequencies based on what I know works for that style of driving. I then compared this to what the guys here run and low and behold, they are the same (give or take 25 lbs) - you can read their early threads (from the early 2000's) and see how they empirically worked this out. And like I always say, find what works. Lots of people here have found good numbers that work for specific applications. Granted, the 240z is a sports car, but I'm sure a Volvo weighs a lot more than that. So, wouldn't Volvo stock rates be higher than 92? The 240Z handles nice stock, the 240 Volvo, NOT. Given the motion ratios involved, it's a bit weird as those offsets would have ride frequencies messed up front to rear. The 240 front corner weights (my car is a turbo, so take that into account) are around 800 lbs per side. I now run 400 lb/in springs and it's firm but not brutal. The standard 244 is around 2850 lbs total. So lighter than many think. Yep, definitely odd frequency front to rear, but it is what it is. I mesured how much pressure it took to compress each spring, and retested each run. Then I increased the pre-load, so I got numbers starting at 40, 50, 60, 70, 80lbs. That's TEN tests per spring. Sticky this thread, or sticky a spring-specs-only thread? A simple chart to be added to periodically as you get measured-on-a-checker rates. Need someone willing to compile and update that info that will still be here in 5+ years. OK. I'll do a search for actual tests, there are two in this thread, I think. I will try to come up with a way to show whether the type of car was verified, i.e. if the springs had to be o.e., and some other good info. Wire dia., overall Diameter, coil count, (for the math people) and the type of device used to measure. I use a home-made rig, but keep all the springs labeled so I can take them to NC to run on the tester Drew uses at work. We can get the data together, and as more people measure springs, we can add to it. So if there are several 240 sedan sets, we add them all. And Natcherly, the commonest of afta-market springs too since the vendors can't be troubled to say what rates their stuff is...or maybe don't know..
Last edited by John V, outside agitator; 04-24-2016 at 02:32 PM..
Why would anyone publish their proprietary information? So others could noodle around to find comparable parts, or make their own? The normal material for most parts automotive are known in the metal working world. Gears, pistons, cranks, flywheels, valve guides, springs---we know what to use. And why. Now some guys who are say garage mechanics or tuner guys don't, so they go knee-jerky and may do things for no imaginable or measurable reason, but "the Magic of the Marketplace" oughtter take care of that. If someone really wanted to copy IPD's lowering springs, it's not that hard to buy a set and get measurements and spring rates.